President Yoweri Museveni has heaped praises on Major. 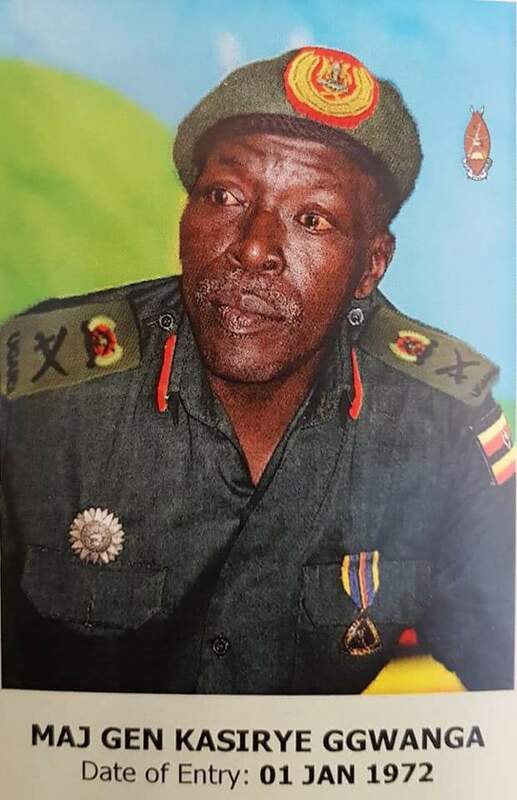 General Kasirye Ggwanga, as the Army General retired after 46 years of service. Maj. Gen Ggwanga, now Presidential Advisor on Security was one of the eleven Generals retired by President Yoweri Museveni at State House Entebbe on Wednesday evening. President Museveni who gave history on how he first met Kasirye Ggwanga in Ngoma, Nakasongola district as Gwanga joined NRA from Andrew Kayira's Uganda Freedom Movement, said the General had made a great contribution to this country. "He (Ggwanga) has some Xs, but as a teacher sometimes you look at how many ticks the student has. Kasirye Ggwanga has a lot of them," the President remarked after handing Gen. Ggwanga his discharge certificate. 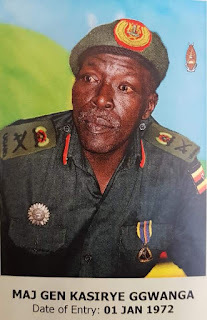 Gen Ggwanga has on several occasions been caught on the wrong side of the law with his recent incident coming just last year when he torched a tractor he reportedly found grading his relative's piece of land. The outspoken General would later ignore police summons to answer to the alleged offence committed. Other Generals retired included Chief Presidential Pilot Maj. General Ali Kiiza, Maj Gen Joshua Masaba and Maj. Gen. Hussein Ada among others. The President noted that it was because of the total peace in Uganda now that the men in uniform were retiring honourably. He said the country achieved total peace in 2007 with the defeat of the rebel Allied Democratic Forces (ADF). "These 11 years since we defeated ADF is the first time the area called Uganda has achieved total peace," the President said adding; "This is why we are able to have such a ceremony where people go home after serving their country, because there is peace." The President directed the UPDF leadership to work with his office to ensure that the retired Generals don't live a miserable life after. "The army leadership, working with me should ensure that these Generals live a happy life," he emphasized. The Chief of Defence Forces (CDF) Gen David Muhoozi pledged that the UPDF would cater for the retirees and give them all their benefits. "We shall look after them," he said. 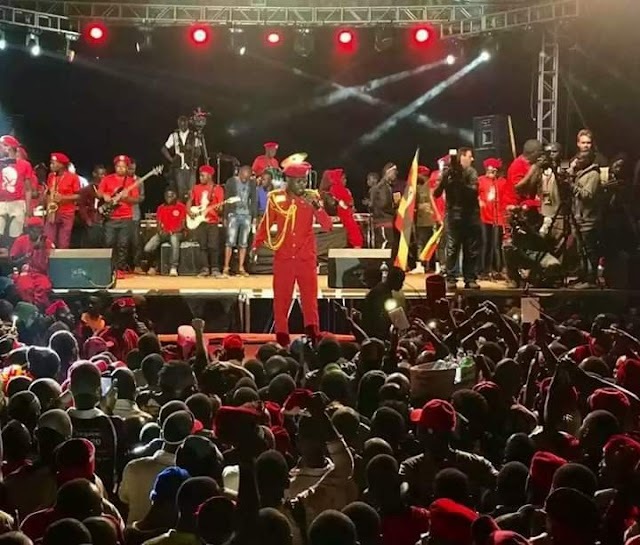 The function was witnessed by Defence Minister Adolf Mwesige, Security Minister Gen Elly Tumwine and State Minister for Works Gen. Edward Katumba Wamala who is also a former CDF.